As she drifted into a light sleep, bloody images of Virginia lying dead on the bathroom floor snaked their way into her mind and waves of sorrow replaced her earlier feelings of contentment. Thirty years ago, a young girl took her own life, leaving behind only her paintings to remember her. 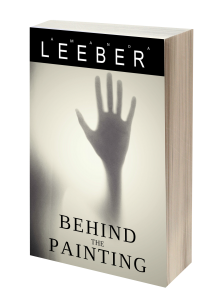 When Lorelei purchases one of these paintings, she doesn’t expect it to stir up unfinished business from the past that will put her life in jeopardy. From day one, disturbing things start to happen and they only get worse. Working alongside her best friend, Cherry, Lorelei is thrown into a world of the supernatural. When paranormal investigators dig up even more chaos, she seeks out the only person who might be able to help: a shamanic practitioner, who will reveal a truth so unexpected, it will change her forever.